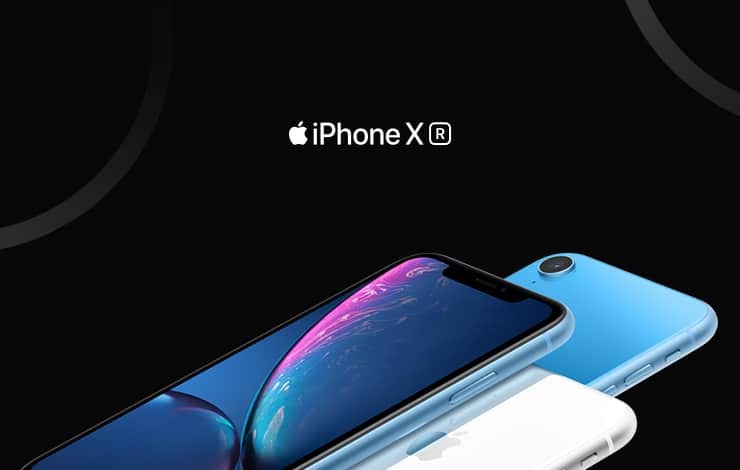 The new iPhone XR – Buy from Sync today! You can now purchase the brand new iPhone XR from our Manchester city centre store – just pop in next time you’re on Deansgate! While the iPhone Xs and iPhone Xs Max were launched last month, we’ve been waiting in suspense to get our hands on the iPhone XR and it hasn’t disappointed! The successor to the iPhone 8, here’s everything you need to know about the brand new iPhone XR. The iPhone XR – Brilliant. In Every Way. The new smartphone is truly beautiful. You can wave goodbye to the home button because it’s a thing of the past. Apple’s latest offering has followed in the design footsteps of the rest of the iPhone X series and removed the button. Face ID will now be the way you unlock your device, giving you the most secure authentication ever in a smartphone. The wider 6.1” Liquid Retina LCD screen will make the display and images crisper than ever before. While the innovative backlight design allows the screen to stretch right to the corners, this gives you amazing true to life colour from edge to edge of the iPhone XR. The iPhone XR also features the same 7MP front-facing TrueDepth camera as the iPhone Xs. The single 12MP camera on the reverse has Depth Control that is bound to improve your Insta game, helping you to create photos like never before. One of our favourite features of the iPhone XR is the amazing range of finishes. The available finishes include PRODUCT(RED), Yellow, White, Coral, Black and Blue. How will you ever choose? What’s more, the iPhone XR is made of exceptional materials, including the most durable front glass ever in a smartphone. It’s the new generation of iPhone and we’re sure you will love it. Want one? We bet you do – buy now at Sync!